Entrepreneur turns passion into his own wine,Rennie Estate Winery. Yet another entrepreneur who has turned his passion for wine into his own brand, Rennie Estate Winery. 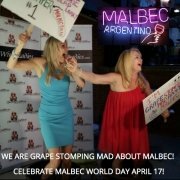 Wine aficionados from all walks of life are giving into their passion for wine putting big bucks on the line. 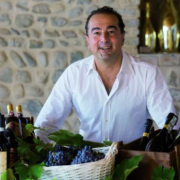 Buying up vineyards, starting wineries and even becoming the winemakers themselves! Last issue we explored just how much the wonderful world of wine is capturing the hearts of such a diverse and eclectic group from entrepreneurs to sports icons, musicians, doctors, business tycoons and actors, including our very own Dan Aykroyd, Jim Cuddy,Wayne Gretzky just to name a few. 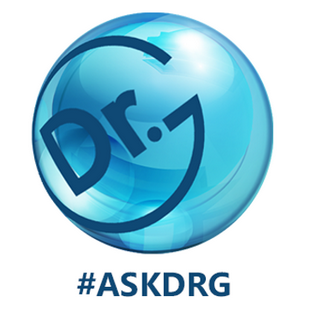 We introduced you to Dr. Gary Glassman, aka Dr. G, an Endodontic Specialist. 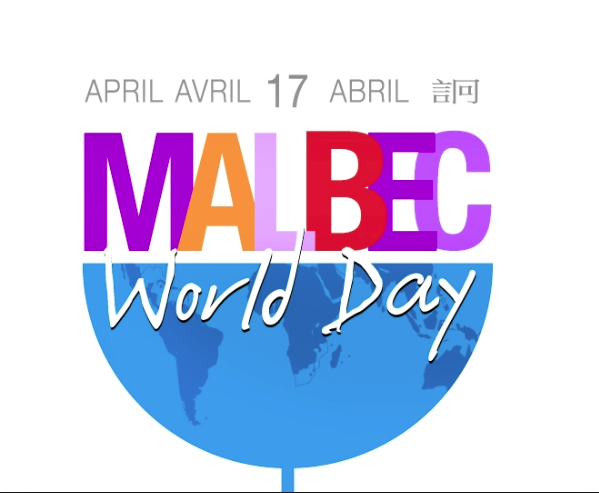 A celebrity endodontist actually, from Toronto who realized his dream and became a part owner of a winery in Mendoza, Argentina. Here we take up where we left off. 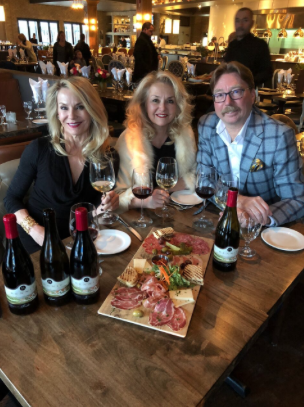 And continue the story with the introduction of Graham Rennie and his widely applauded wines from the Niagara Escarpment.We bade our farewell to Dr. G and headed off to what would be our final stop on this delectable afternoon of wine discovery. 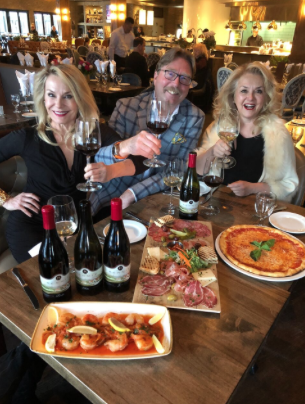 Heading over to the fabulous Trattoria Timone Ristorante located in our hometown of Oakville. 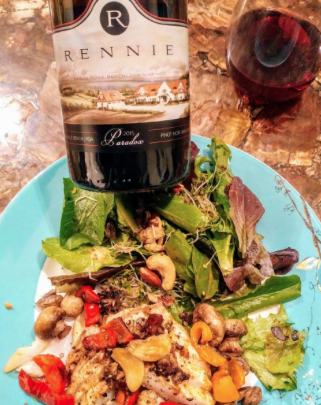 With just a forty-five minute window we are up for a whirlwind wine tasting with yet another entrepreneur who has turned his passion for wine into his own brand, Rennie Estate Winery. Graham Rennie is the Chairman and CEO of Integra Capital, a Canadian asset management firm that he founded in 1987. We first met Graham and his wife Christine at a dinner party close to twenty years ago. At that time they were actively exploring purchasing their own vineyard. Their passion for wine as they spoke that evening left no doubt in anyone’s mind that there would someday be a Rennie wine label. 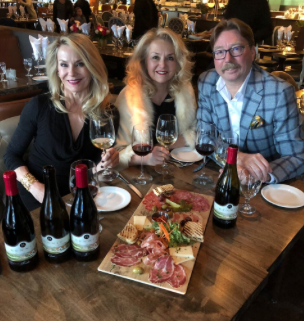 And so it came to be in 2010 when the Rennies relocated to Beamsville to pursue their dream and purchased a 50-acre property on the prestigious Beamsville Bench sub appellation located in the Niagara Escarpment. Still in full force money management CEO Graham has managed to also pursue his passion for wine and eek out ample time to play an integral role in this exciting endeavour. We noshed on Timone’s scrumptious Margherita pizza, grilled shrimp and antipasto platter. From participating in the selection of the vineyard plantings, to monitoring the progress of the grapes as they mature on the vine to the definitive style of Rennie’s wines, this is no absentee landlord.” We always wanted to grow the best fruit we could,”said Graham. In 1999 Rennie, his wife Christine and family planted five varietals with clones all sourced from the highly reputed and recognized Mercier nursery in France. A mix of Pinot Noir 28%, Chardonnay 17%, 20% Merlot 20%, Cabernet Franc and 15% Cabernet Sauvignon makes up the plantings of which the majority is sold to other wineries for their premium wines. A small portion of the harvest is reserved for the Rennie Estate Winery brand. It is artfully and meticulously crafted by Malivoire winery winemaker Shiraz Mottiar. “I like big, red wines, and enjoying them with our friends,”enthuses Graham. “Our cool climate viticultural region makes it tough to make full bodied red wines from Bordeaux varietals here every year.” “We produce appassimento style Bordeaux blends and whole cluster fermentation Burgundy varietal wines which have come to define Rennie Estate Winery,” reveals Graham. The world renown Italian wine Amarone is produced in the appassimento style. Which essentially is an Italian term for drying harvested grapes, traditionally on straw mats forup to 100 days. This concentrates the sugars and the flavours resulting in rich, opulent, concentrated red wines. Graham went on to develop a grape drying chamber to replicate the traditional technique used for Amazon, in conjunction with Vineland Research and Innovation Centre. 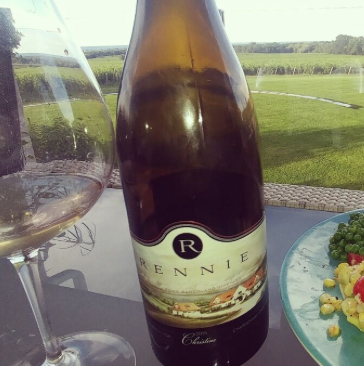 Before us are four wines, one of which is the Rennie Estate Winery 2014 Assemblage. We learn is a blend of Cabernet Sauvignon, Cabernet Franc and Merlot. These grapes are dried in the custom made drying room for between 86-105 days. The berries are then fermented in small batches for over two weeks. Off to French oak barrels for 21 months of aging. In our glasses now, a rich, opulent full-bodied red wine with intense dark fruit and black cherry flavours. Accompanied by seductive suggestive notes of vanilla. 2014 Assemblage gets an A+! We also sample Rennies Pinot Noir and Chardonnay, both very impressive! If you would like more information or to enjoy any of Graham and Christine’s wines visit www.rennieestatewinery.com for prices and availability. That is about all for us as our day draws to a close. It has been an incredible day of wine discovery, fine wines, food and fairytale! Seeing both Dr.Glassman and Graham Rennie and witnessing their realization of their dreams made this a special day for us too! We wonder who will be next to be so smitten with the vine and have their own wine? 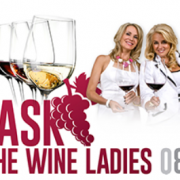 Perhaps it’s our turn, TWL Wines, has a bit of a ring to it, don’t you think? 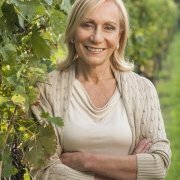 If you would like more information or to enjoy any of Graham and Christine’s wines visit www.rennieestatewinery.com for prices and availability.